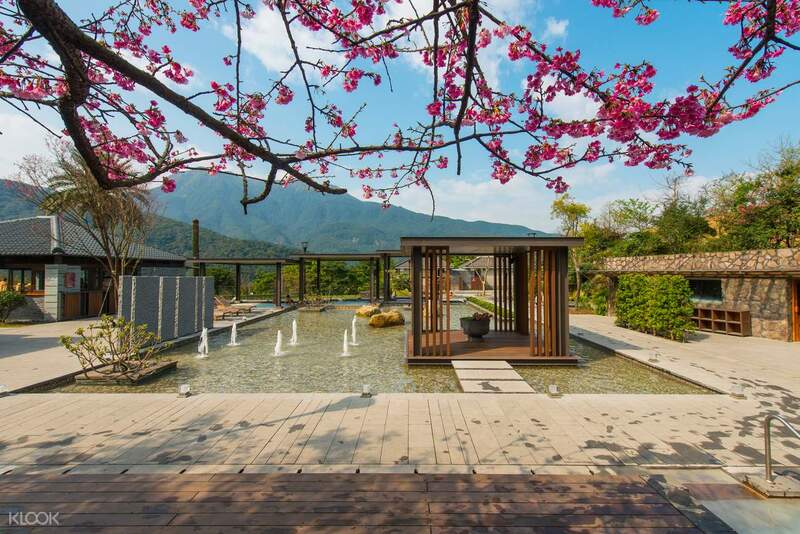 Treat yourself to a relaxing experience at Yangmingshan Tien Lai Resort and Spa at New Taipei City. 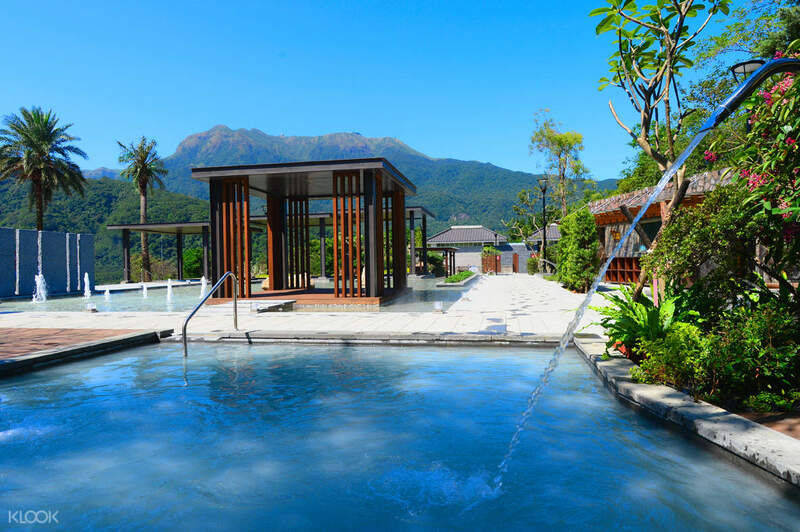 Soak in the natural hot springs and take in the stunning surroundings - the perfect place to let all your worries slide away. The best part - this experience comes with an individual bath house good for 2 people so you can enjoy the hot springs in private. Stay in the bath house for up to 90 minutes and come out feeling completely refreshed and rejuvenated. It also comes with 2 complimentary drinks from Taste x Living Restaurant - a fantastic add-on to an already great experience! Hassle Free redemption. The reception already have my booking voucher printed out in their file. The private room was big and well equipped (see photos). You can choose 2 free drinks (Latte, Tea, Chocolate ) from their cafe after the hot spring . Highly recommended. Hassle Free redemption. The reception already have my booking voucher printed out in their file. The private room was big and well equipped (see photos). You can choose 2 free drinks (Latte, Tea, Chocolate ) from their cafe after the hot spring . Highly recommended. When I entered the private bath room, Everything was impressive. All the amenities were ready as the hotel room. The quality of the hot spring made me really satisfied and relaxed. I had really good time. When I entered the private bath room, Everything was impressive. All the amenities were ready as the hotel room. The quality of the hot spring made me really satisfied and relaxed. I had really good time. Missed the 1717 bus, at last took uber to the place. Have to walk 2-5 mins walk from the main building to the hotspring building. Overall are great. Easy redeem. Free drinks after the hotspring 90 mins. Missed the 1717 bus, at last took uber to the place. Have to walk 2-5 mins walk from the main building to the hotspring building. Overall are great. Easy redeem. Free drinks after the hotspring 90 mins. This hotspring is seriously awesome, its a sulfur hotspring and u can easily redeem it at the counter at 二館, can always ask the staff if unsure. They also provide shampoos, shower gel, conditioner and body lotion, hair dryer, water and even tea! Would definitely come back here again for it next time! 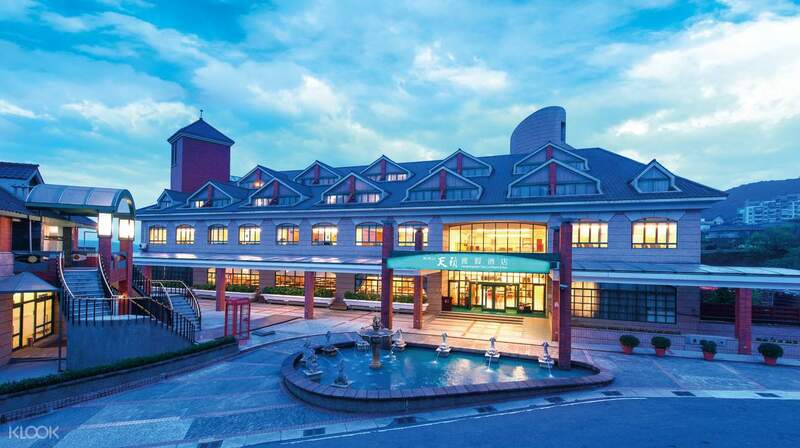 Once done with hotspring, the staff would also give drink voucher (each voucher can redeem 2 drinks) and is easily redeemable at their dining area next to the hotspring room. This hotspring is seriously awesome, its a sulfur hotspring and u can easily redeem it at the counter at 二館, can always ask the staff if unsure. They also provide shampoos, shower gel, conditioner and body lotion, hair dryer, water and even tea! Would definitely come back here again for it next time! 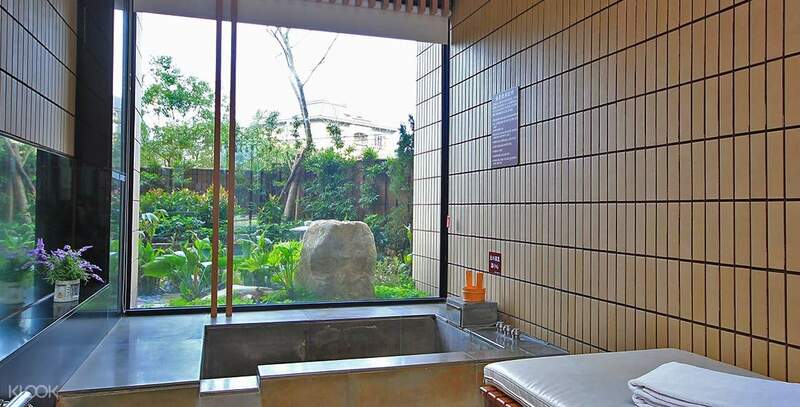 Once done with hotspring, the staff would also give drink voucher (each voucher can redeem 2 drinks) and is easily redeemable at their dining area next to the hotspring room. I went there on 11/2018, the bus no.1717 for Main Taipei Stn. is stop right infront of the resort. I was a rainny day and the the onsen is super gets along with the weather. Moreover, all staffs are polite and awesome. I had a great time there. I went there on 11/2018, the bus no.1717 for Main Taipei Stn. is stop right infront of the resort. I was a rainny day and the the onsen is super gets along with the weather. Moreover, all staffs are polite and awesome. I had a great time there. Get ready for a long way up to the mountains, get a taxi at around 500 NTD if not mistaken on your way there instead as it’ll save you lots of time waiting for the bus/having to leave 3-4 hours in advance for your appointment! You get a free take-away hot drink as the cafe wasn’t open yet when we arrived instead try to book a timing where you can enjoy it while you’re in the hot spring! The room smells a little weird but assuming that’s from the hot spring water. Do note that the busses only come during certain timing, check out the latest schedule below! Get ready for a long way up to the mountains, get a taxi at around 500 NTD if not mistaken on your way there instead as it’ll save you lots of time waiting for the bus/having to leave 3-4 hours in advance for your appointment! You get a free take-away hot drink as the cafe wasn’t open yet when we arrived instead try to book a timing where you can enjoy it while you’re in the hot spring! The room smells a little weird but assuming that’s from the hot spring water. Do note that the busses only come during certain timing, check out the latest schedule below!